What to do with the Community Care Access Centres? Yesterday’s Toronto Star column by Bob Hepburn suggests we should roll them into the Local Health Integration Networks and send the CCAC CEOs packing. The urge to spank the CCAC board that approved a 50 per cent salary increase for their CEO is compelling, but blowing up the CCACs is likely not the answer. There is no question that the CCACs are a very cumbersome way to deliver home care. Let’s not forget CCACs also are involved in discharge planning in the hospitals and coordinate placement into long-term care. They are also responsible for the Health Care Connect program that assists Ontarians to find family doctors or nurse practitioners. They directly employ nurses that go into schools to provide mental health support as well as rapid response nurses to assist with chronic disease management. Nurse practitioners are also working with palliative pain and symptom control. Nobody seems to know how much of their work is taken up by administration. The CCACs say its 10 per cent, but that doesn’t count all the layers at the agency level. We don’t know what the CCAC spends on contract competitions or enforcement to existing home care providers. Let’s face it, accountability is not free. Hepburn says administration and case management amounts to about 40 per cent, which seems to be as fair a guess as we’ve seen. By anybody’s standard, that’s not the best bang for the buck. The problem with the proposed alternative is the CCACs are not really parallel organizations to the LHINs. You would think the Community Care Access Centres would tread a little carefully these days. The Tories want to get rid of them. 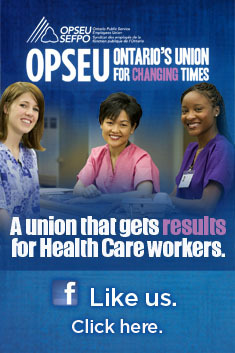 The Registered Nurses Association of Ontario would like to fold them into the LHINs. We’re creeping into the time of year where budgets run out and home care patients get left in the lurch, particularly around rehabilitation. It’s generally not a fun time for the CCACs. The CEOs might be enjoying their day a little less this morning after Bob Hepburn’s column in the Toronto Star. It left our spoons hovering above the Cornflakes. Hepburn contends that the leadership at the CCACs have been handsomely rewarding themselves with lavish increases while applying restraint to the front line workers. Maybe it’s a last hurrah before it all ends? Hepburn points to two examples – Cathy Szabo, CEO of the Central CCAC who saw her salary jump by 50 per cent from 2009 to 2012, and Melody Miles, CEO of the Hamilton-Niagara-Haldimand-Brant CCAC who gave herself a 24 per cent increase over the same period. For Szabo, her wage jumped $91,000 to $270,734. For Miles, her wage jumped during the same period by nearly $53,000 to $265,949. The information comes from the sunshine list, which we always caution fails to give the full picture, including if the executives worked the full year covered under the report. We decided to look at the rest of the list. Among CCAC CEOs, you have to really feel for North Simcoe Muskoka CCAC chief William Innes. Back in 2009 he reported earnings of $224,890. For the last two years it has been $199,877. Central East’s Don Ford is the lowest paid CCAC CEO today. It’s true his kid’s likely didn’t go hungry with earnings of $180,769 in 2012, but the man has not had a raise since the economy took a dump in 2009. In 2009 Ford’s reported earnings on the sunshine list were $181,953. His taxable benefits are also far lower than many of his counterparts at $761.02 in 2012 (by comparison Catherine Szabo received $11,723 in taxable benefits). He’s at the bottom of the provincial heap. Szabo and Miles draw down some of the biggest incomes among CCAC executives province-wide, but the biggest winner in 2012 was former deputy minister Margaret Mottershead, who was then the CEO of the Ontario Association of Community Care Access Centres (and now she’s gone). Some may wonder why a small group of 14 CCACs needs an association, but we’ll leave that alone for now. Mottershead’s reported compensation for 2012 was $318,322, up slightly less than $5,000 from the year before. That would be a 1.5 per cent increase for anybody lacking a calculator. Is competitive bidding in home care done? Let’s hope so. September 10 Doris Grinspun, executive director of the Registered Nurses Association of Ontario, tweeted that Health Minister Deb Matthews had just announced to a nursing meeting that the moratorium on competitive bidding in home care would be made permanent. No formal confirmation of this announcement has been made by the Ministry of Health. No services competition has successfully taken place since 2004 when then Health Minister George Smitherman announced the appointment of Elinor Caplan to conduct a review into the competitive bidding process. The Caplan review followed months of campaigning in the Niagara region after the Victorian Order of Nurses had lost the local home care nursing contract during its centenary in the community. OPSEU-represented VON members had met with MPPs up and down the Niagara peninsula to point out problems with the competition. The union complained that the bidding process had been tainted by the then Niagara CCAC administrator who told at least one patient in advance of the competition that VON would not be a successful bidder.